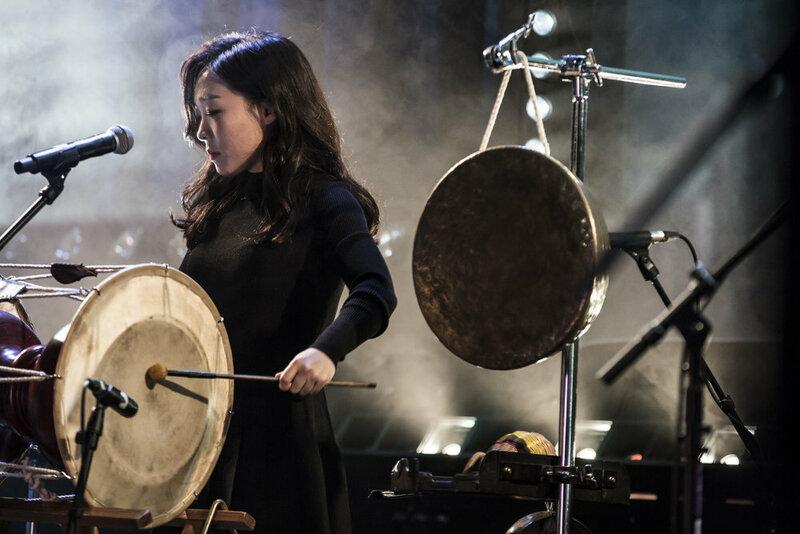 A new breed of music that breaks the barrier between traditional and contemporary popular Korean music. There are few band across the world that so expertly meld classic, traditional instruments and vocalization with entirely modern ones as Coreyah. Indeed, their new breed of music breaks the barrier between the traditional and the contemporary. 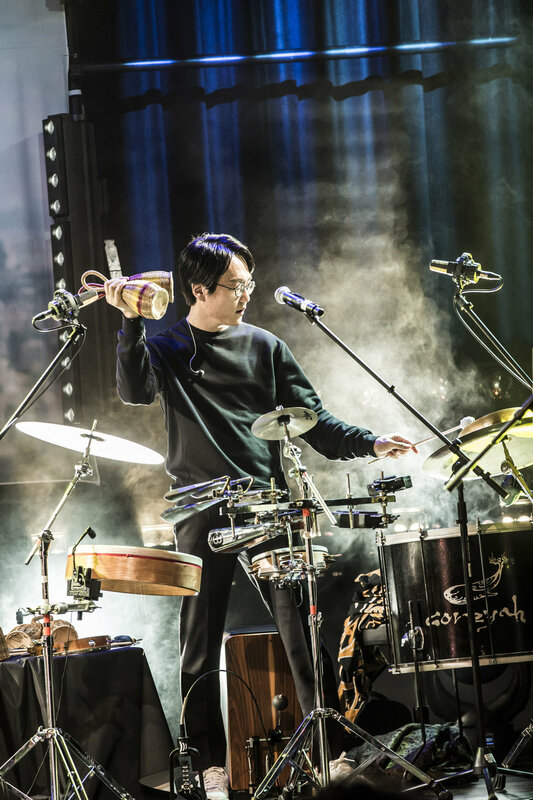 Rooted in Korean folklore, Coreyah strives to create “living Korean music” by assimilating various world music heritages, such as Anglo-American rock, Balkan gypsy, and a variety of musical genres from South America and Africa. The band is chocked full of gifted musicians, consisting of Dong-Kun Kim (daegeum, sogeum, tungso), Boyoung Ham (vocals), Eunsun Kim (geomungo, yanggeum), Cho-Rong Kim (janggu, jing, kkwaenggwari), Jongmin Kim (guitar) and Kyungyi (percussion). Since their 2010 debut, Coreyah has been expanding its musical domain by actively blurring the distinction between old and new. In 2011, they won the grand prize at a new Korean music competition called “Cheonchamanbyeol (all kinds of music) Concert” hosted by BukchonChangwoo Theater, and were selected for “Tune Up,” an esteemed granting program. The following year, Coreyah proved that traditional Korean music could attract just as much attention as flashy rock, when they reached the top 16 on KBS (Korean Broadcasting System)’s “Top Band II,” a band survival show. They then went on a four European country-tour, and in 2013, Coreyah received the highest mark at the Edinburgh Festival Fringe. They continue to delight audiences at home and abroad. The name of the group, the Sino-Korean homonym Co – Re – Yah, refers to inheritance of the past, but now serves to draw living modern people toward more attractive music using old music elements. Translated into Hangul, (the Korean alphabet), Coreyah also means “whale”—the group’s totem animal and good luck charm.